Hamas reportedly tells Egypt it is prepared to return Israelis it is holding in Gaza in exchange for airport and seaport. Hamas has told Egypt it is prepared to make a “comprehensive deal” with Israel that will include returning the Israelis it is holding in Gaza in exchange for the establishment of an airport and seaport, the pro-Hezbollah Al-Akhbar newspaper reported on Thursday. Hamas leaders have been speaking with officials in Cairo in efforts to ease the economic situation in the Gaza, the report said. The ongoing dispute between Hamas and Palestinian Authority (PA) chairman Mahmoud Abbas’ Fatah faction has made it difficult to improve the conditions in Gaza, as well as the Israeli demand that any improvement of conditions be predicated on returning the Israelis held captive in the enclave. Thursday’s report said that Hamas had told Egypt it was willing to negotiate a deal that would include returning the captured Israelis. Hamas has refused to comply with the request, and has also refused to allow the Red Cross to visit the missing Israelis. Hamas leader Ismail Haniyeh recently said the group was ready to negotiate with Israel on an exchange deal. 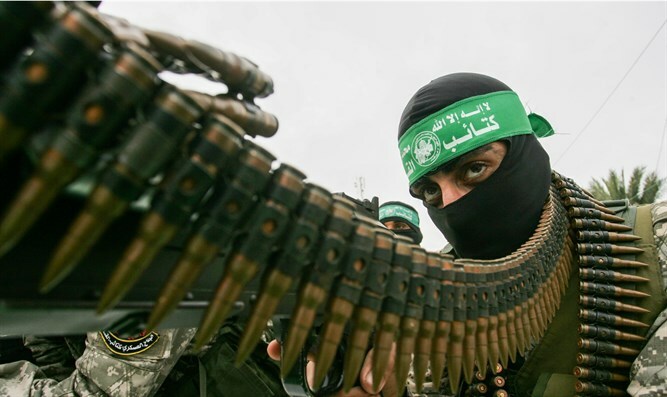 Later, however, Israel Hayom reported that a dispute has broken out within the higher echelons of Hamas that is preventing the terror organization from reaching an exchange deal.